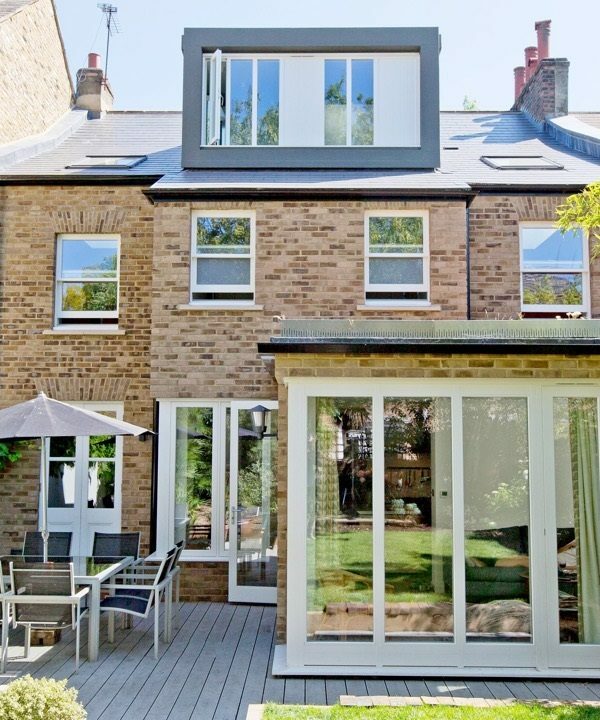 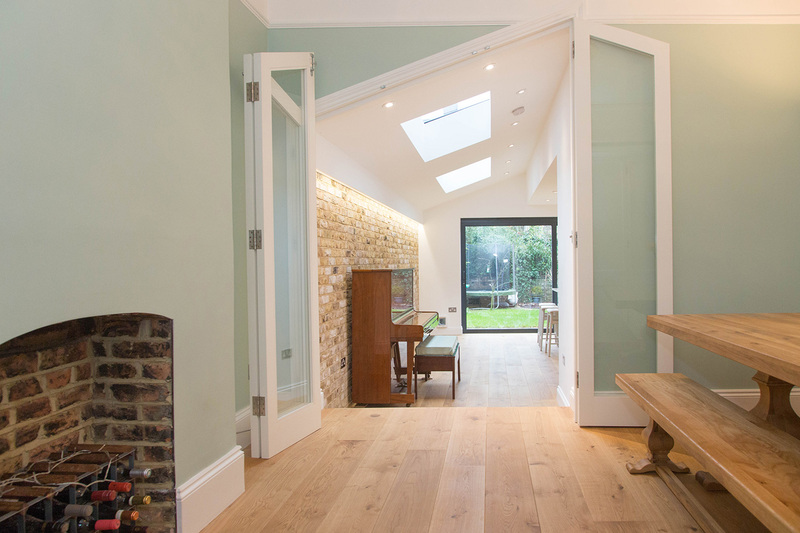 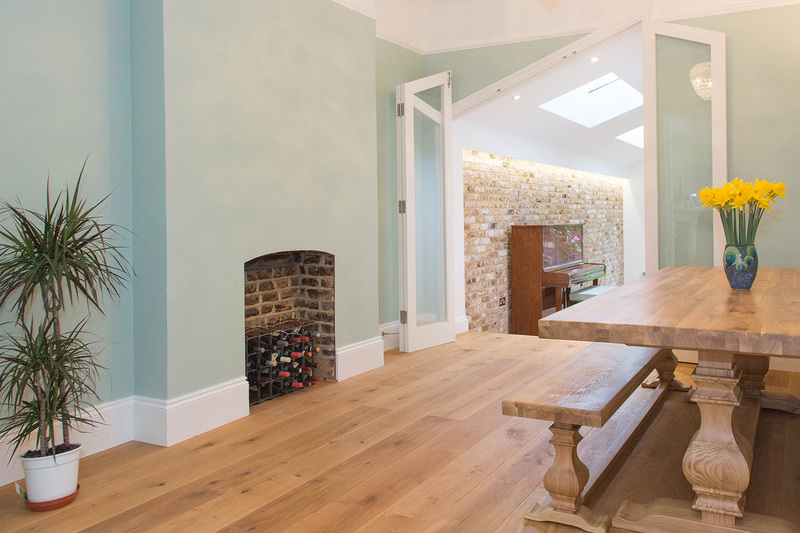 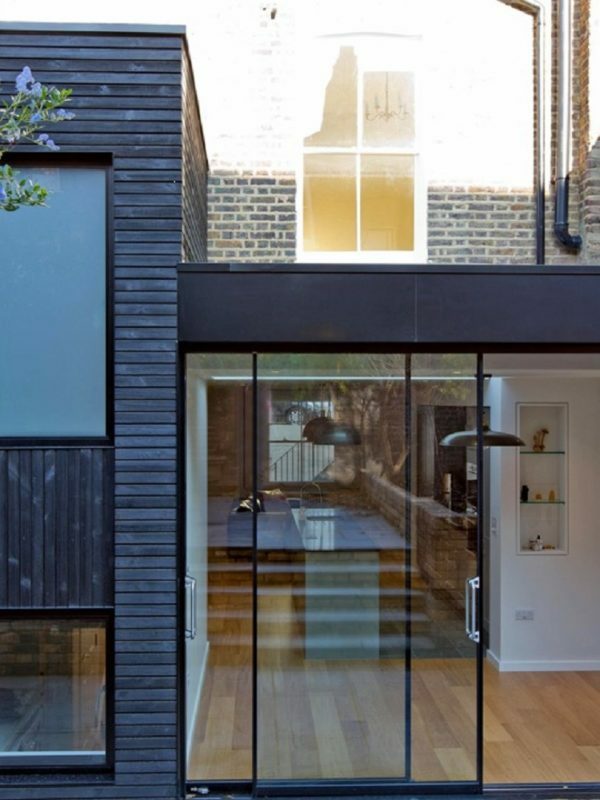 This extension and refurbishment project involved the entire ground floor of this Victorian house. 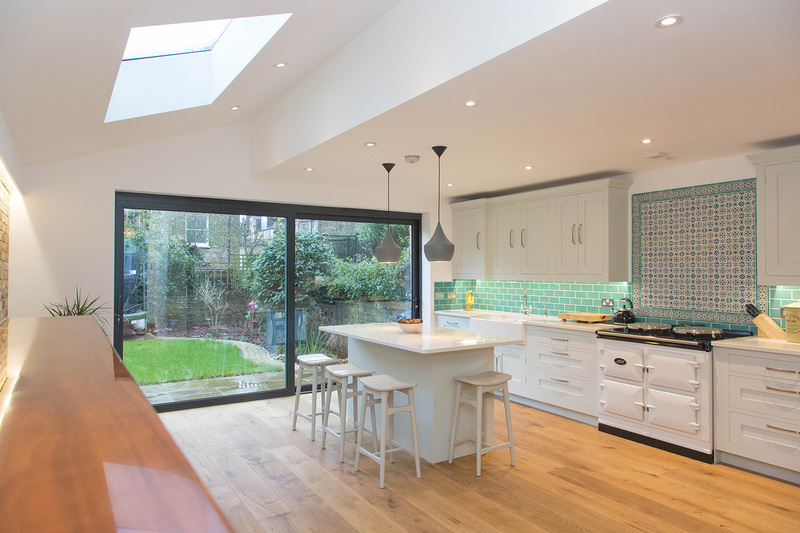 The large side extension almost doubled the size of the kitchen and gave the clients direct access from the kitchen into the living and dining areas, which had previously only been accessible from the hallway. 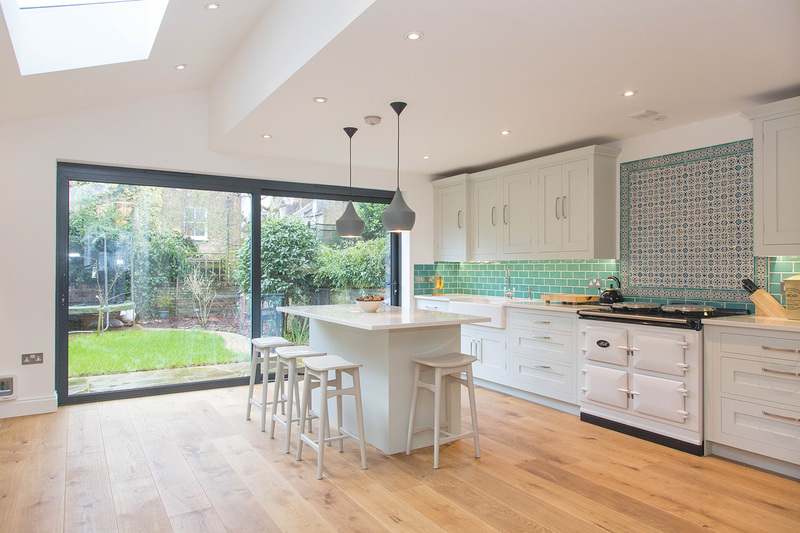 We installed the new kitchen and island unit, as well as large sliding doors to the rear and rooflights in the new side extension, which flooded the room with light. 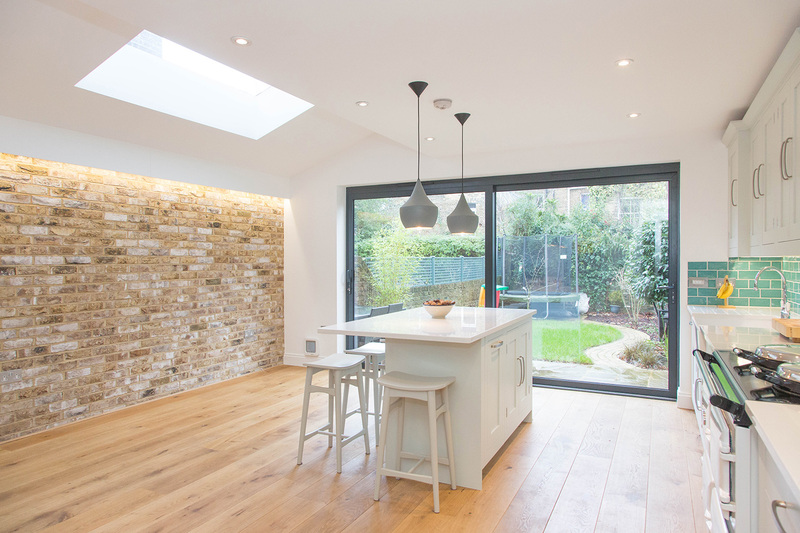 The patterned tile splashback and exposed brickwork wall added colour and texture to the overall design. 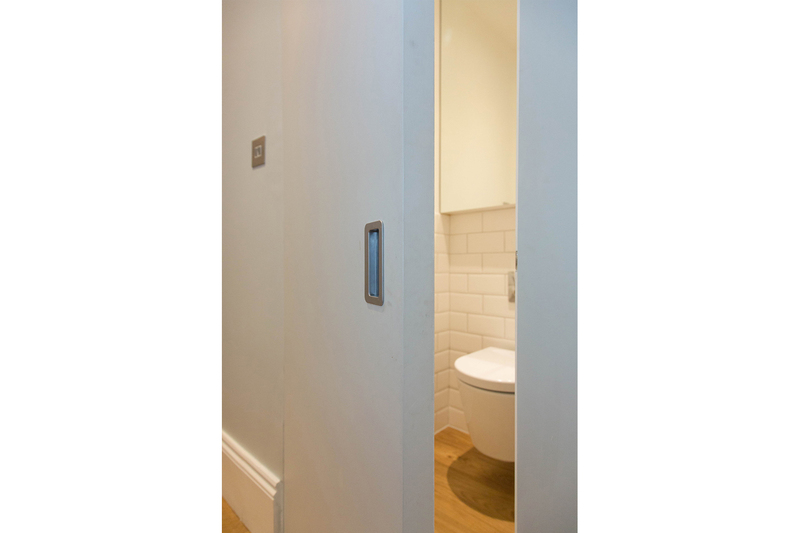 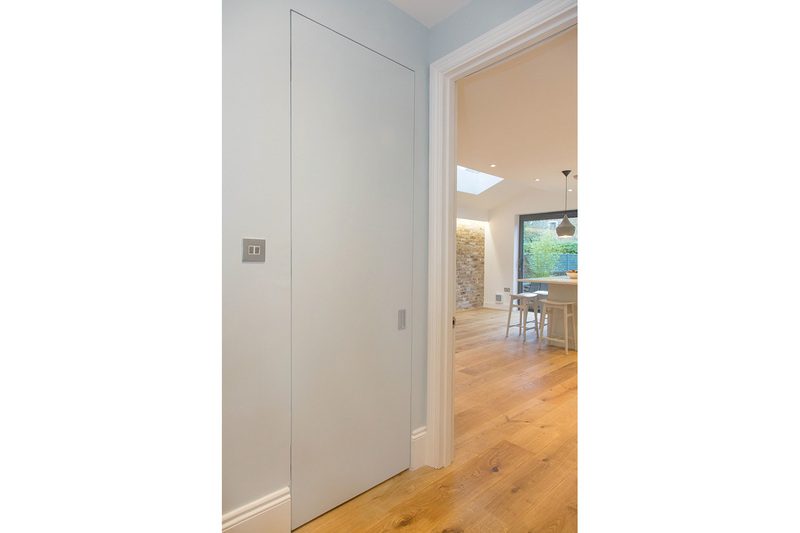 There was just enough room to add a new WC just off the kitchen, but little room for a normal door, so we designed a flush ‘secret’ door with a push opening to fit the space. 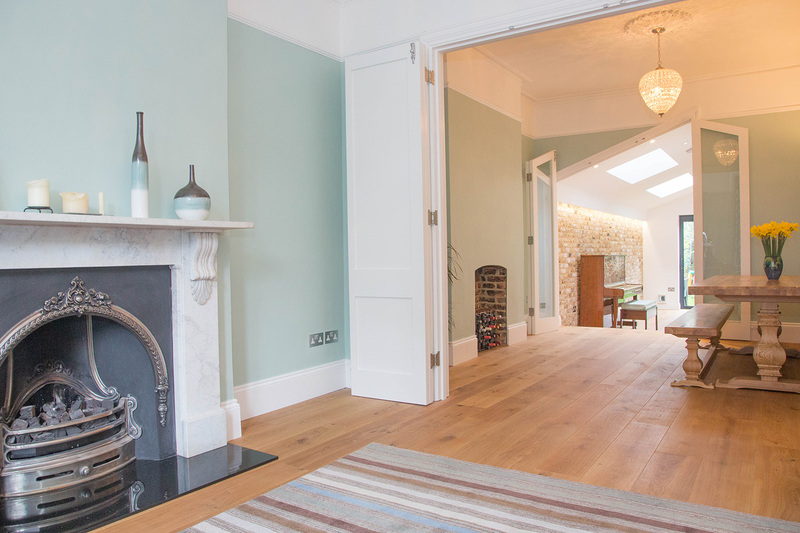 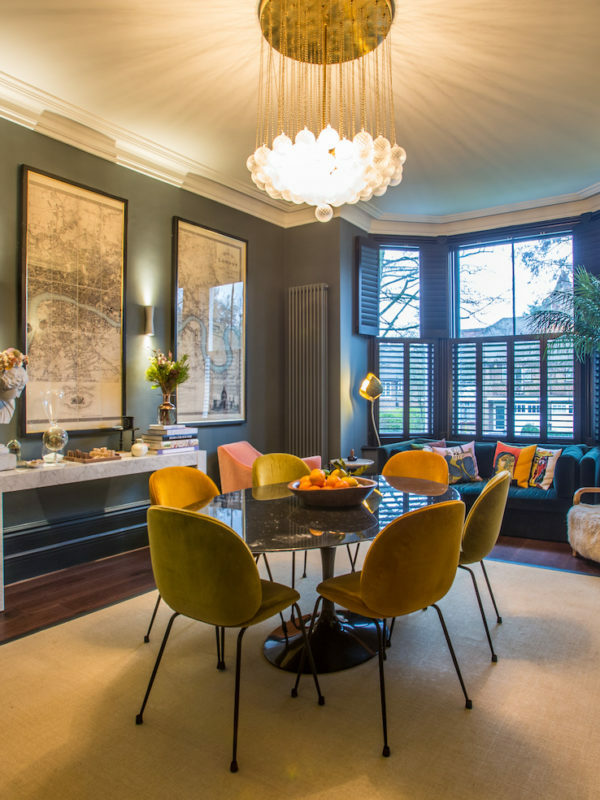 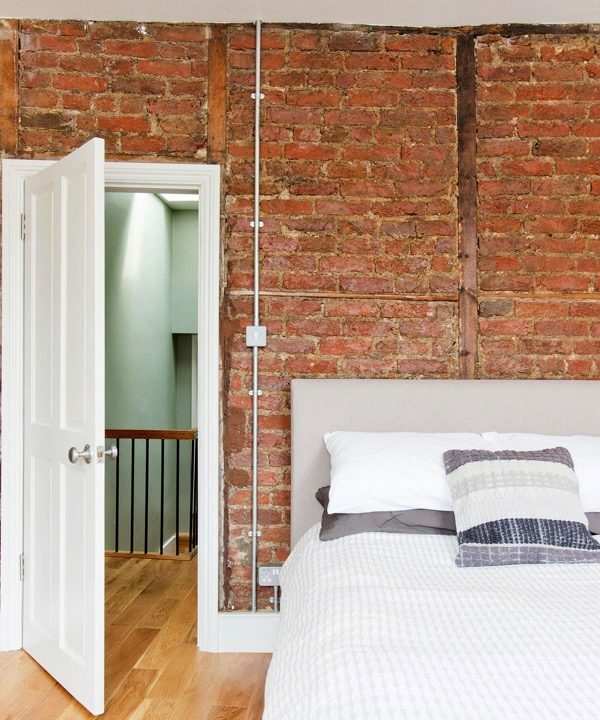 The ground floor refurbishment included a new heating system, full electrical wiring, wood flooring with underfloor heating and redecoration throughout. 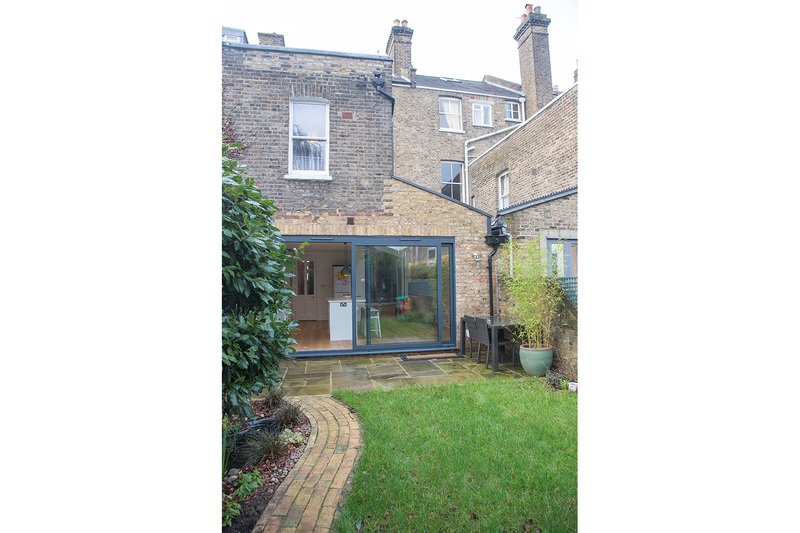 Externally, the garden was landscaped with a York Stone patio and a newly-turfed lawn. 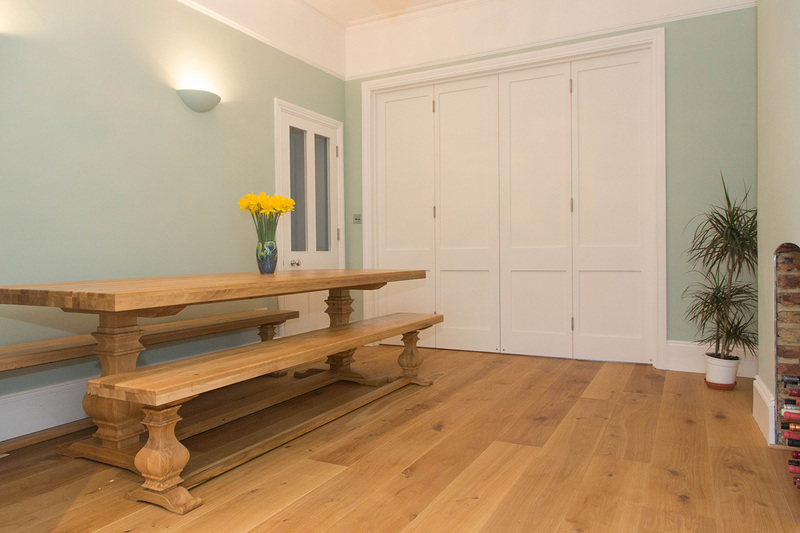 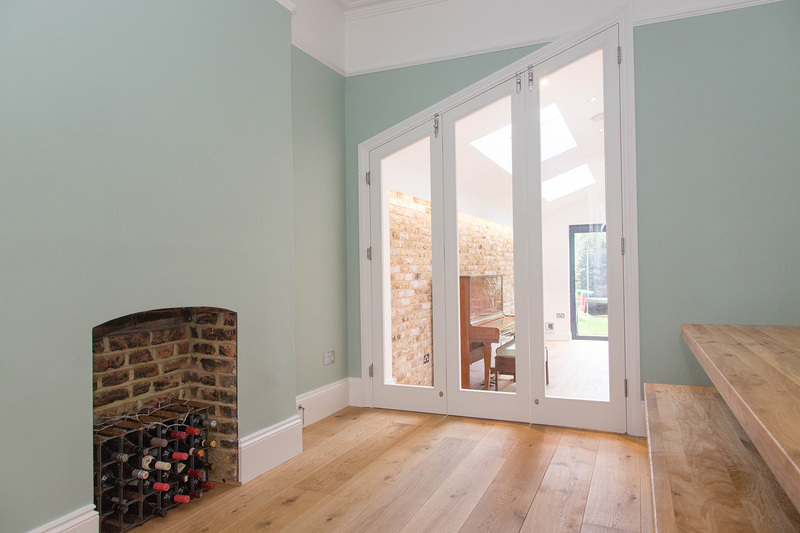 We designed and installed two bespoke sets of folding wooden doors to act as flexible partitions between rooms. 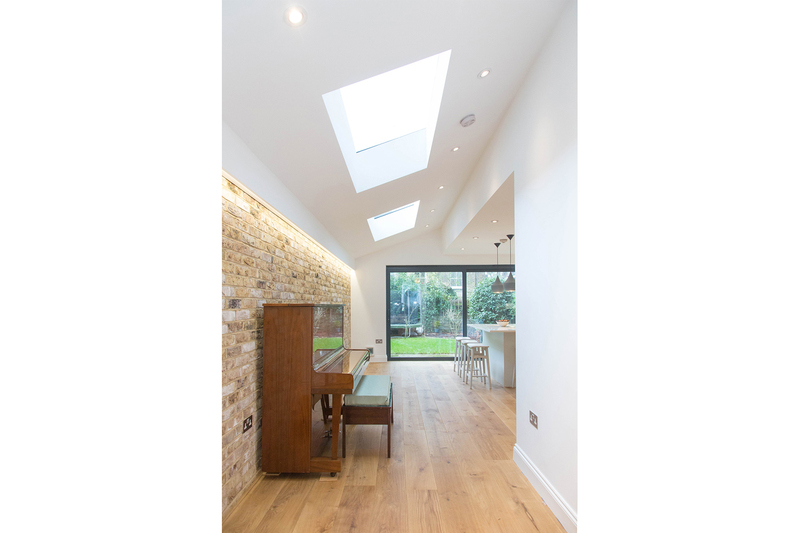 The first set was glazed to allow light in and to open up access between the kitchen and dining area and the second set had solid wooden panels, so that the living room and dining room could be integrated or completely separated.